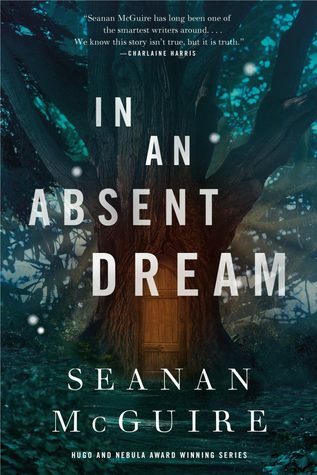 In An Absent Dream is the fourth book in Seanan McGuire's fantasy series Wayward Children. I think this one is my favorite of the series! I'm all caught up in Seanan McGuire's Wayward Children series now. I'm sad because I've been able to read four of them so close together and now I will have to wait to read the next one. I felt like there was so much allegory happening in In An Absent Dream. 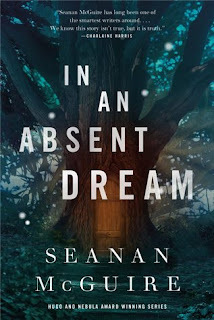 I would love to know what it was really about in Seanan McGuire's mind. The story was like a fairy tale, and the writing was so wonderful for me. If you haven't started reading this series yet, just do it. I waited longer than I should have to get started. I won't lie and say she took the story in directions I wanted it to go. I'm a little bit wrecked by this one, but also anxious to see where McGuire takes me in the next one. I really liked this one as well. I think #2 was my favorite and then the first and this one tied. We won't talk about the third. Have you heard that they are making this into a TV/Cable series? I hope they do it well. Yes!! Tracy sent me a link when they announced the series. I'm excited. I hope they can do the books justice. That's awesome!! I'm so glad to hear this one was a hit for you! I need to start this series soon!